Always been a big fan of comics, video games, or another hobby? Conventions are a fantastic place to enjoy your hobby to its fullest potential. Keep reading to see G&C’s tips for attending your first convention! 1. Browse the internet to see what type of conventions are in your area. 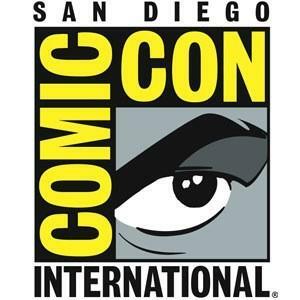 Unbeknownst to many, most major cities usually host their own annual Comic Con at some point during the year, as well as many other types of conventions. You may be surprised to find conventions sporting your interests within your region that you hardly knew existed. Also, many have Facebook pages that post updates and answer general questions. If you are in the Northeast, like many of us, some of the most popular conventions are Pax East, Boston Comic Con, Granite Con, Anime Boston, Another Anime Con, and Pop Culture Expo. 2. Buy tickets early! Many conventions usually offer some sort of ‘early bird special’ for ticket buyers who purchase early. If you know you want to go to a certain convention, be sure to buy tickets early to save a few bucks. 3. Bring some friends and a camera. There is truly a special type of atmosphere at conventions. People are super friendly and most will have similar interests to you. Bring your closest friends and strike up conversation with new people you meet…you will find conventions are a great opportunity to use your Nintendo 3DS StreetPass function! You will also see tons of people dressed in cosplay that are willing to take pictures. Be polite, respectful, and be sure to compliment them on their awesome cosplay! 4. Frequently check the Con’s website to view which guests are attending. Comic Cons usually have tons of artists, as well as media guests. However, due to changing schedules, many of guests are added and/or removed from the listing. Take a look at who is attending and make a list so you can make sure you visit all of them. 5. Bring comics to get signed! You can get autographs and sketches at various conventions, so make sure you bring books to get signed. Be polite to the artists and writers by asking how they are doing or commenting on what you like about their work. And be kind to the other convention goers by bringing a reasonable amount of comics to get signed. Please do not be that guy who brings 150 comics to get signed by the same person. I was always told that 10 comics is a reasonable number to get signed by a single person. 6. Bring a backpack, comfortable shoes, and some spending money. Not only are there tons of awesome collectibles at conventions, but you can also score some great deals. Bring a backpack so you can easily carry all of your gear. You will also be walking around a lot, so make sure you wear comfortable footwear. 7. Pack your own lunch. Convention food is expensive. I’ve never seen steak bombs and Mountain Dew cost as much as they do at conventions. Save yourself some money and throw a homemade lunch in your backpack. Also, there are often huge lines at concession stands. You will save yourself valuable time at the convention by not having to wait in line to get food. 8. If you are looking to buy something specific, shop around for the best deal. There are many dealers at conventions and many will offer the same product for different prices. Shop around until you find a price you want to pay. Prices are also notorious for dropping on the last day of the convention as dealers try to get rid of as much inventory as possible. As long as the item is not in limited quantity, do not be afraid to wait until the last day. 9. Attend a panel. There are some really awesome panels at conventions. I have seen panels ranging from ‘how to publish your own comic book’ to ‘analyzing music in video games’. Your favorite writer may even be hosting a panel about your favorite comic series! Panels are a great experience and if you are attending a convention for the first time, they can often fall by the wayside. I strongly suggest attending a panel that appeals to your interests. 10. GET TO THE CONVENTION EARLY. Conventions draw huge crowds and huge crowds means huge lines. Get to the convention well before it starts to avoid waiting in a massive line. Many conventions will have maps available upon arrival, which will allow you to plan where you want to go and when. Convention centers will often distribute passes the day before the convention, which effectively allows you to skip the registration line. If you live close to the center, this can be a great way to beat the line the next day. 11. Take a shower once a day. It seems silly, but anyone that has been to a convention before can tell you that this is a problem. Do everyone a favor by showering and using deodorant everyday. 12. Have fun! Conventions are a blast, so make the most of it! Hopefully these tips will help you make the most of your convention experience!